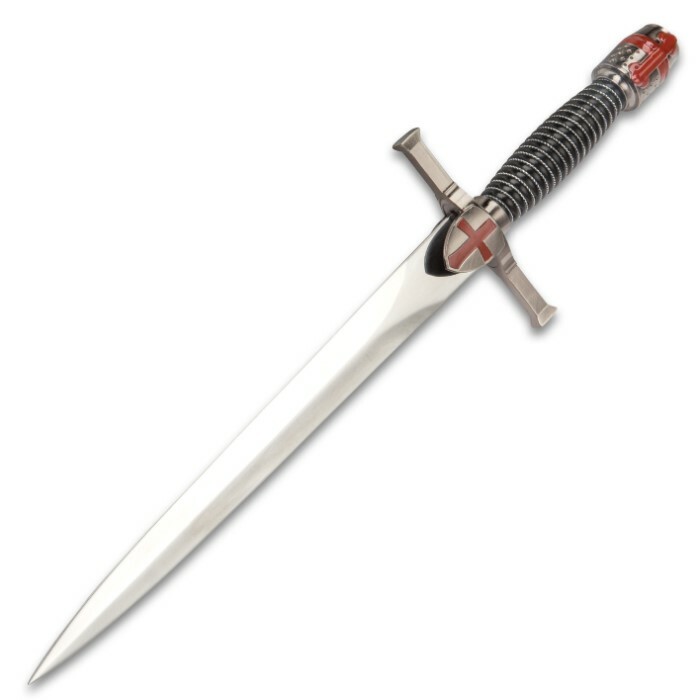 Expand your Crusader Era collection with the Silver Crusader Helmet Dagger, a fine historically inspired display dagger. 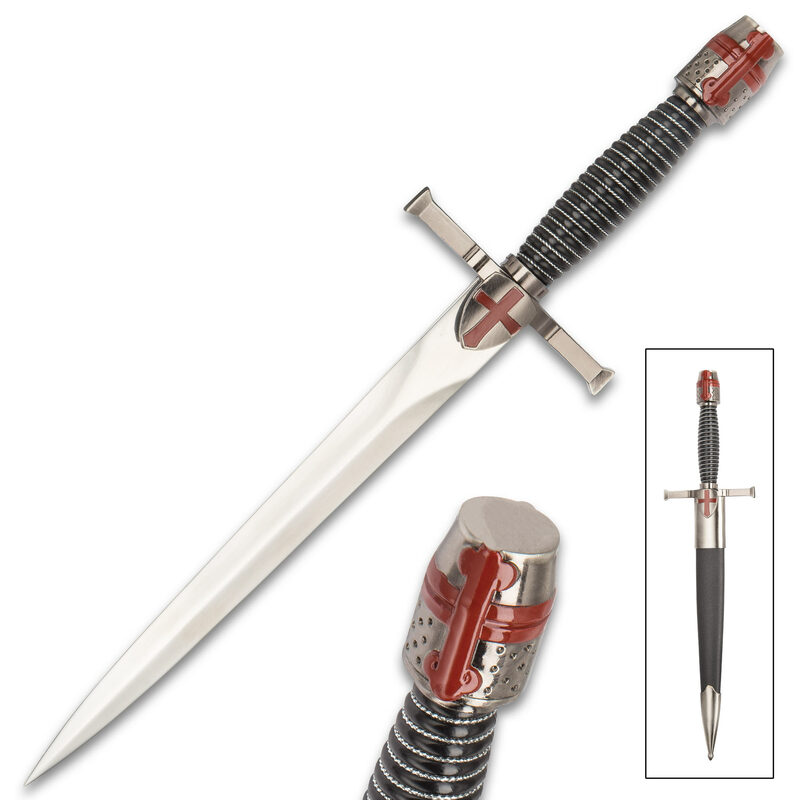 It has a 9 1/2” 420 stainless steel false-edged blade with a mirror polished finish, which slides just like a glove into a black ABS sheath with metal accents. 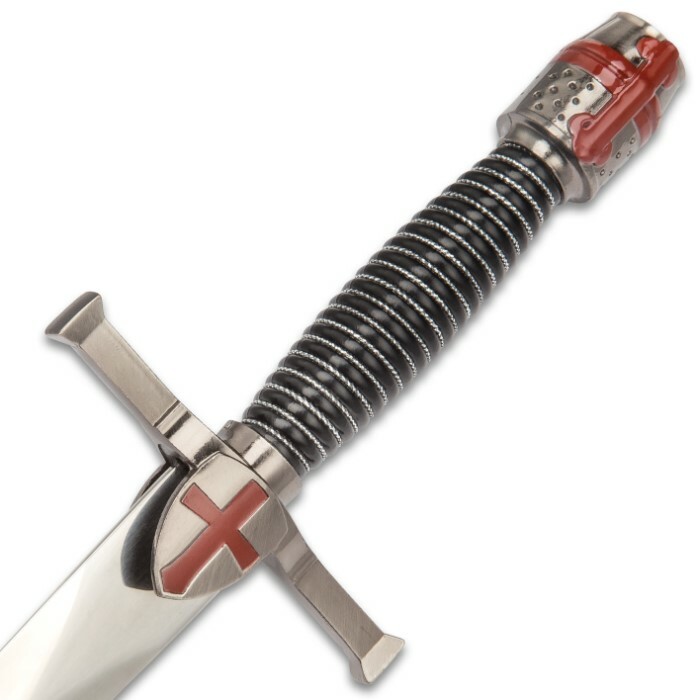 The metal hand guard features a red cross on a shield, which helps secure the blade in the sheath. 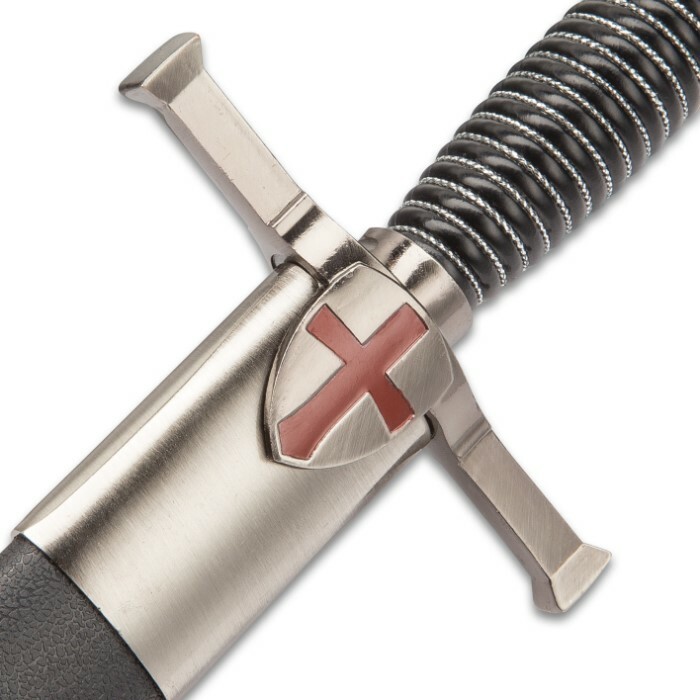 The silver ridged, black ABS handle has a metal pommel that looks like an ancient Crusader helmet featuring the iconic red cross design. 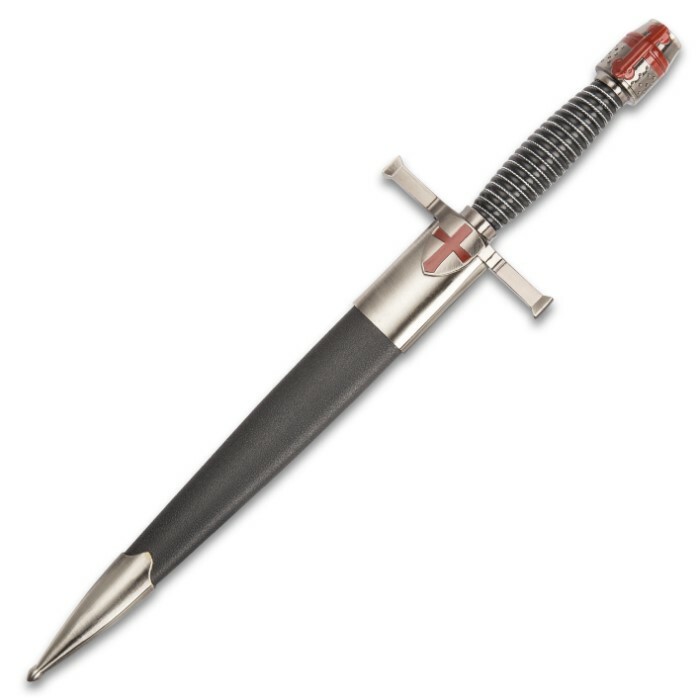 The Silver Crusader Helmet Dagger is an exceptional display replica for your desk at home or at the office. Looks good,great price,fast delivery. What else could you possibly ask for?